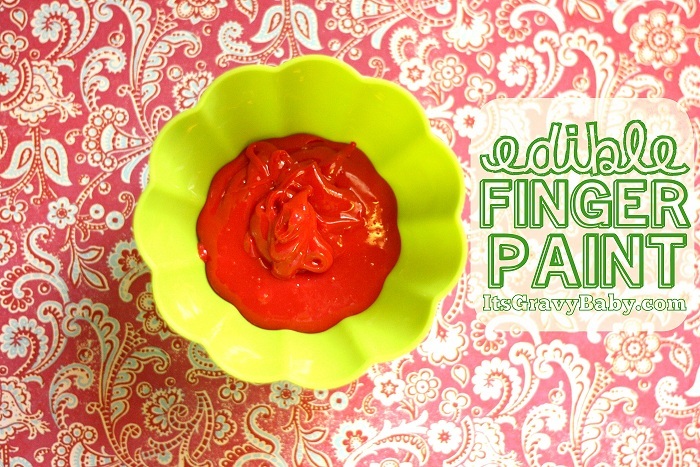 Let me start off by saying this edible finger paint recipe came about as a happy accident. I was trying to create an edible slime recipe with a texture similar to my original homemade slime. Well, it didn’t work.. at all. In an attempt to save my ingredients from being thrown in the trash, I grabbed a pack of flavored drink mix and voila- I knew in an instant that I had, indeed, saved my project and that the kids were going to LOVE the result. And they certainly did- see photos at the bottom of this post. Pour sweetened condensed milk into a medium sauce pan. Stir in cornstarch. Cook on medium-low heat until well combined. Add flavored drink mix and stir well. Remove from heat and let cool before playing and painting. If you have any doubts about the taste, allow me to show you some photos. I’ll let you decide which child was more into painting and which child was more into eating the paint. It really does taste good! I love that it’s safe to eat so Bella can join the fun. This activity isn’t for the faint of heart. I suggest wearing play clothes or craft aprons and having a tub of water ready for bath time. I don’t mind the mess and a wet rag is all you need for clean up. The color came out so bright and vibrant that I’m going to try a few other recipes using Kool-Aid. I’m not giving up on edible slime, but I’m going to have to rethink the recipe. Those pictures are adorable! I might have to try it just for me. I’ll have to try this as an outdoor activity. 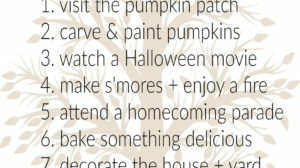 My kids would be ALL over this (no pun intended) — great idea, Whitney! I love how bright the color came out! Love it! I think we’ll give that a try soon! Way fun! I love that this was created by accident. I pinned this and hope to try it soon. 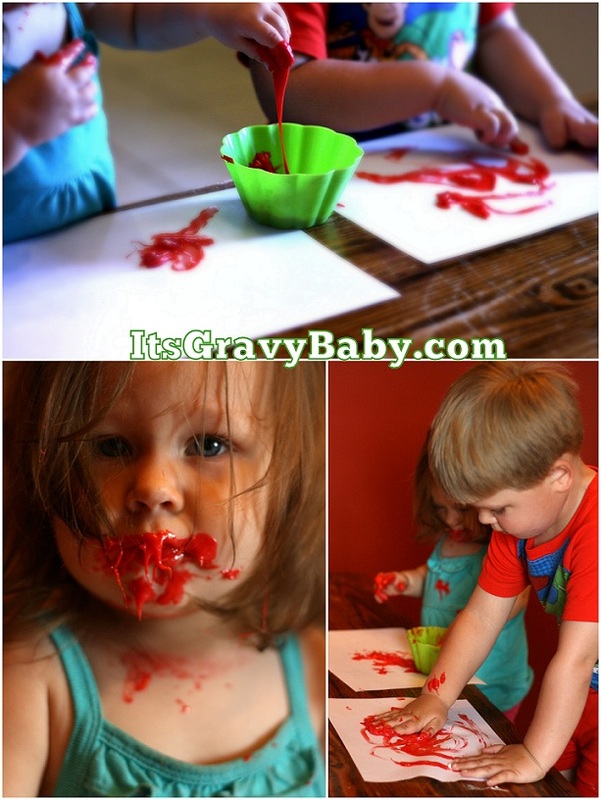 This is brilliant – my baby ate the finger paints that I made with just cornstarch and water – I think she would just ignore painting using this recipe. The colours are so vibrant as well. I’m on the search for something similar to kool aid in the UK. What a fabulous idea!!! Thank you! It’s a must try! WOw! Looks like a LOT of fun. I’ll be saving this page and coming back for some messy fun with my kids! Great sensory fun! 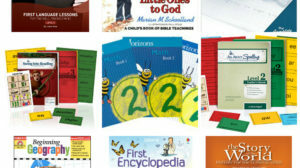 Thanks for sahring at Kids Coop. Great idea! My girls are gonna love this. Just curious how does it dry? Does it harden? And about how long did it take? I’m thinking of using this to paint on a fondant covered cake. how did that work for ya on the fondant? I decided against using it for the cake. With the milk I was afraid it might sour. I would have to keep the cake in the refrigerator. Oh that face is so precious!!!!! Sounds like a wonderful recipe even for my 8 and 9 year old’s. Is there a way to make this w/o the milk or something else instead? I have a child with dairy allergies. Please respond via email as I don’t get notifications for this site. Thanks! Awesome idea, but I would hate to think that if they get the idea they can eat paint, they might get to school and think they can eat tempra…. That’s my concern as well. 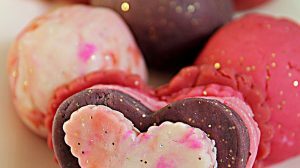 Edible slime: Have you thought of using unflavored gelatin and glycerine? both are edible and fun. good luck. I will be checking back to see what you have done. Thank you, Barbara. I will definitely give that a try! I am sure someone already said this…but here are my thoughts, my first batch didn’t turn out so great. So the 2nd go around I sprayed the pan first then before turning on the stove I stirred in the cornstarch & Kool-Aid. Worked great. I am not even sure I really needed to turn on the stove. I have a question. Did it stain their hands for a little while? Or not really. I was thinking about trying this with my niece who is 6 months old. I stumbled across this blog and Im in love with it! and I really like the cute, fun projects and things you do with your kids. even though I am a teen this looks so fun to do myself,I miss my childhood! But I love how super creative you are! My daughters would absolutely love this. Whenever we do any kind of craft my 18 month old always puts the paint or paint brush or marker pr whatever color utensil we are using in her mouth. This would be a great safe alternative for her little hands and tummy. Thanks for sharing this neat recipe. I love the pics of the kids…i love this ideal of edible paint..i have to try this..thank you for sharing. Yum!!! My kids would just snack on this!